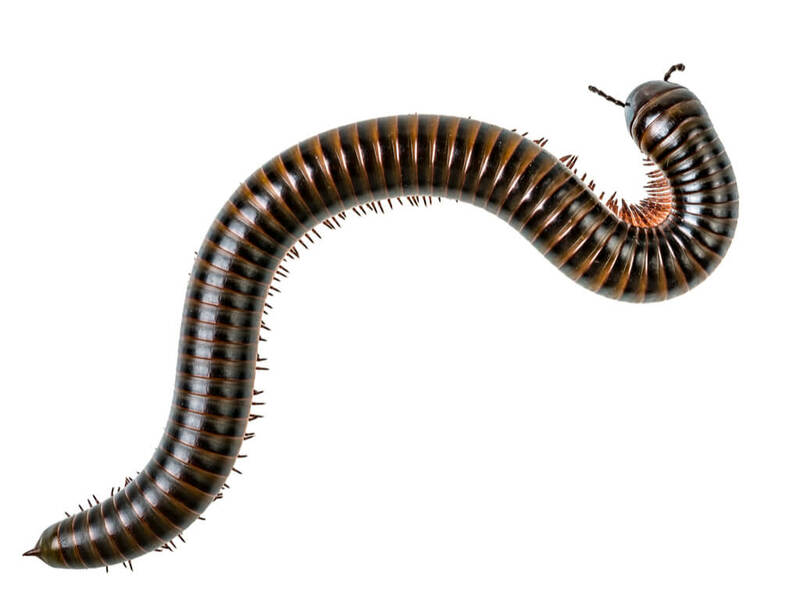 Hogarth’s Pest Control specializes in Centipede/Millipede removal. Centipedes and millipedes belong to a subphylum of arthropods called myriapoda. In Greek, myriapoda means “countless feet.” Spotting one of these lengthy, multi-legged bugs can be quite a surprise. Despite sharing some similar physical traits, they are quite different. Both species have segmented bodies. Both prefer to live outdoors in damp habitats as well. They find solace under logs, mulch, leaves and rocks. Millipedes commonly invade living spaces surrounded by woodland areas. They reproduce in large numbers and migrate in dry weather. Notorious areas to find them are around foundations 2-3 inches in the ground, cement slabs, and basements. Neither will cause any damage to the structure, but they are a nuisance pest. Centipedes frighten many people and can bite if handled, but they are considered to be beneficial because they eat small insects and spiders. While most centipedes are speedy, millipedes move more slowly and burrow into things. Their diets vary as well. Centipedes kill their live prey by injecting them with poison, whereas millipedes feed on decaying organic matter. Despite both having segmented bodies, centipedes only have 1 pair of legs on each body segment while millipedes have 2 pair of legs per body segment. If you are seeing an abundance of either in or around your home, it is likely they are breeding in your lawn, beneath mulch, or dead leaves and other debris around the foundation of your home. Prevention of these pests from entering your home is the best means of control. Because of their freakish appearance, we do receive calls requesting the eradication of these pests. 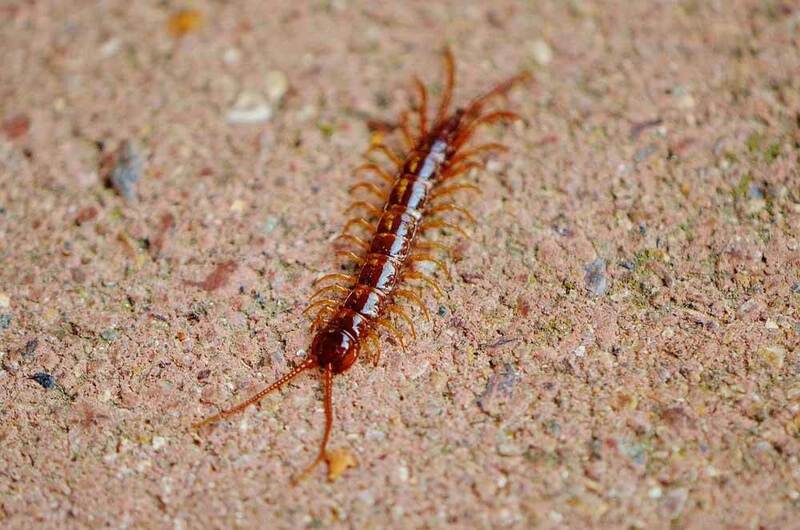 Give us a call today if finding one of these creepy-crawlies inside of your home has been a regular occurrence.